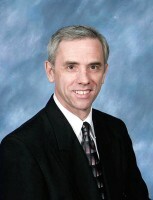 About Pastor Art Kohl: Pastor Kohl has been the pastor of Faith Bible Baptist Church since the church started in 1983. The Greatest Midweek Service Ever - Part III by Pastor Art Kohl. Resurrection Day on the Road to Emmaus by Pastor Art Kohl. The Greatest Midweek Service Ever - The Upper Room - Part II by Pastor Art Kohl. The Bush Still Burns by Dr Jack Hyles. Sunday's Coming by Dr Jack Hyles. Keep Your Stinking Feet Out Of My Drinking Water by Dr Jack Hyles. If I Perish, I Perish by Dr Jack Hyles. Some On Broken Pieces by Dr Jack Hyles. If There Is No So That, So What by Dr Jack Hyles. The Mule Walked On by Dr Lester Roloff.